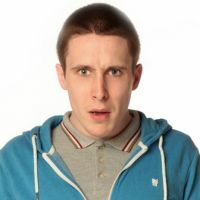 Fresh from a sell-out international tour and smash-hit Live at the Apollo debut, Larry Dean has a new hour of unexpected and excellent **** (Times) thoughts on Scottishness, sodomites and self-esteem. One of the most honest, moving and incredibly funny sets Ive seen in a very long time The Herald ????? Extremely funny... if he continues to evolve at this pace he seems destined to become a household name. Telegraph ???? “A national treasure” Chortle ???? “At the top of his game… Bampot underlines why Dean is an ever-rising star.” The Skinny ??? ?